Here’s some news you already knew – I love a bold lip. My go to lip color is Pink Pigeon by M.A.C., but truth be told, if it’s hot pink or bright red, I’m interested. Considering you can only wear one lip color at a time…lest you look like a complete freak show…I figured I should get creative with my other accessories. In this case, shoes. 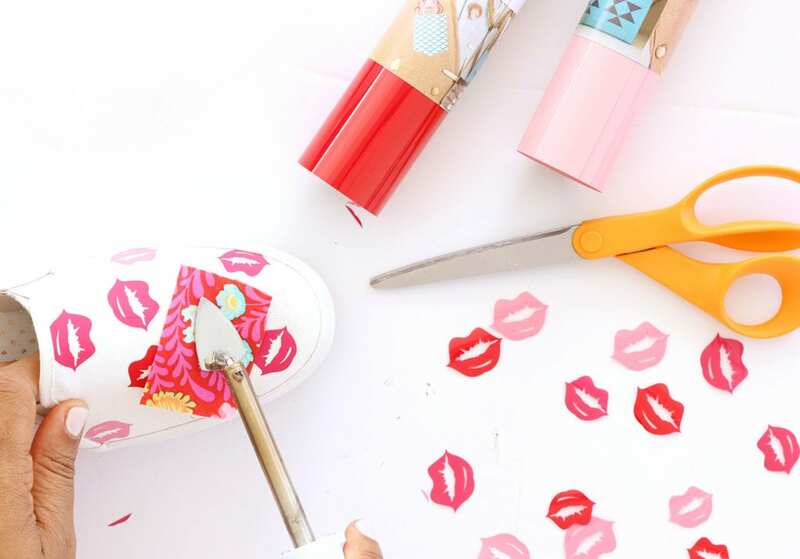 With valentine’s day around the corner, a pair of lip print sneakers is a must. And if you’re anything like me, you’ll have no problem rocking these beauties all year long. 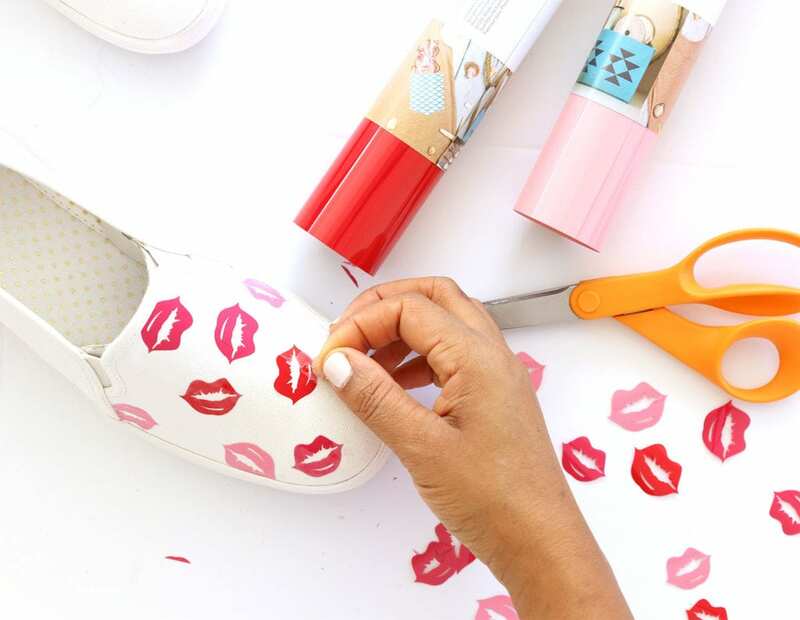 With the help of my Cricut Explore Air (you could also use your Cricut Maker), making these sneakers is easy peasy. Set iron on HIGH and place lip shape directly onto shoe (shiny side up) and use iron to apply heat until lip is fully adhered. 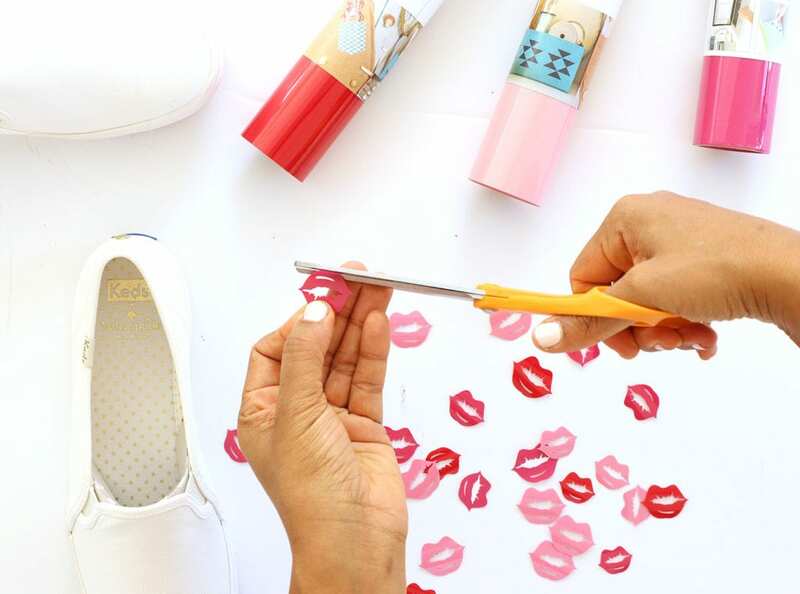 When putting a lip shape along an edge of the shoe, use scissors to trim a straight edge, then iron on as described in Step One. Once you’ve applied the first layer of lips, peel the shiny backing off each shape. With all the shiny backing removed from the first layer of lip shapes, you can how layer a second set of lip shapes . Continue covering your shoes until you like the pattern!